This is a project I worked on not too long ago. I had to take ordinary people and turn into superheroes with specific powers. My client delivered photos and I had to do the rest. I had a great time figuring out the posing and making sure I got the likeness right. I had to deliver these in vector format so that was a bit of a challenge. I love projects where I get to learn new things. Make sure to check out messapps and see all the awesome apps and services they have to offer. 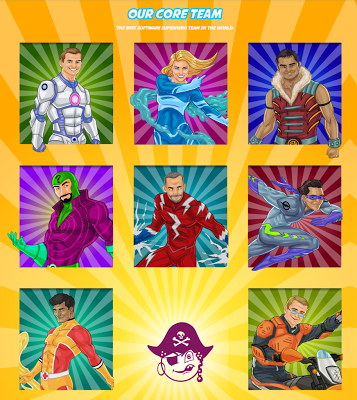 You can find the superheroes at this link for the full body view. Hope you like them.